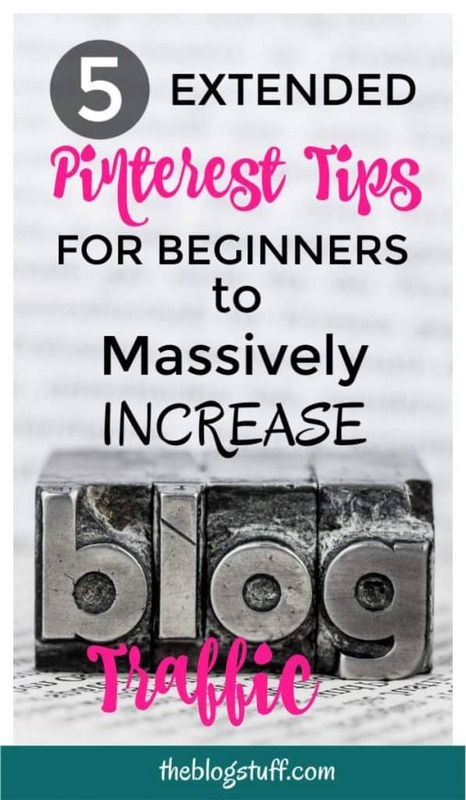 Learning how to use Pinterest for your blog is an effective and wise investment of your time, especially if you are a beginner. 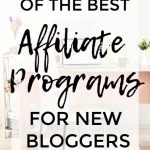 It is one the the best traffic referrals for bloggers and if you are not using Pinterest to its full potential you are leaving money on the table. A lot have changed since I first started using Pinterest (on my other sites) 5 years ago. Back then it was really easy to get great traffic from Pinterest to your site. Not so easy now because there is a lot of competition and constant changes. This is why we need to keep current with all the changes and learn what works now on this platform. # This post contains affiliate links. It means that if you buy through my link I will receive a small compensation. I only recommended products that I use and love. Please check out theblogstuff disclosure policy for more details. I’m not an expert but I do LOVE Pinterest. I’m sharing stuff that works for me and things I do because Pinterest says so. These are tips that have increased impressions and engagement and ultimately clicks to my site. 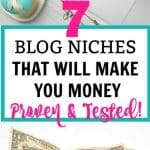 I think these tips are a good foundation for any account and also an effective way to promote your blog and get noticed on Pinterest. Enough chatting! Let’s learn how to use Pinterest to drive traffic to your website or blog. 1.2.2 What Can You Use to Create Your Pinterest Images? Your profile should mean business so make a business account and claim your blog or site to have access to Pinterest analytics. No sure if it makes a difference to have just your head or the entire body. Many bloggers recommend having a shot of your head but I have seen successful profiles where they are using the whole body, a logo or even a stock image. Most people won’t check your profile but is a good practice to use an image of yourself to increase trust. Since we can find people and things on Pinterest by typing keywords on the search bar it is important that you place them in the correct place. Use 2 or 3 important keywords on your profile name, profile description, board titles, board descriptions and hashtags. Have a mixture of broad keywords and more specific keywords. If you don’t know how to find the right keywords to be found on Pinterest and Google check Lena’s course Adventures in Seo. You will learn how to do dual keyword research for Pinterest and Google. You will also learn how to SEO your posts the right way. It surly has helped me a lot on achieving more success on both. I’m not a fan of board covers. They look boring and take too much space on your boards. Instead I choose a pin I like and make it a cover. This is good because if I get bored of seeing the same image I can simply go to my board settings and change the cover image. On the other hand if you like board covers and want to brand your boards then by any means use them. Personally I rather spend my time doing some more productive. # Should you have non-related boards? Pinterest says that having off topic boards are OK if there is a type of correlation with your niche BUT I have seen really successful accounts that have all kind of non related boards. For boards that you can’t associate with your topic they recommend finding a way to get followers for that specific board. I’m not sure yet what to do with my non-related boards but for the moment I’m going to leave them as they are unless Pinterest says otherwise. I also have non-related boards just because my followers are interested in those topics. To find the interest of your followers go to your Pinterest analytics and click on the “people you reach” button. You will find the demographics and their interests. See if you can find a way to write on your blog about some of those topics. Don’t overlook this. It could be a real eye opener. 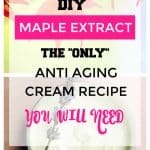 For instance on my skin care site I thought that the main visitors will be 40+ year old women interested in anti aging skin care. It turns out that the main visitors are women (18 to 25 years old) interested in hair care. And I don’t even had articles about hair on my site. Of course, I do now. I spend a lot of time creating images for my sites but I think is important because Pinterest is, after all, a visual platform. A tip to create your pins faster is to have a template ready and make similar images for your blog. If you are into branding make your images recognizable. Be consistent with the designs of your pins. Match your pins to your blog’s design: use your logo, colors, fonts and similar pin layout. I must say that I have never bothered with branding my pins. This is the first time I’m trying to keep the design of my pins consistent. Although I find it boring I want to see whether branding your pins makes any difference. Not sure what type of image to make? Check this article by Social Media Examiner to discover the types of images that get more shares. Size matters. 2:3 ratio is what Pinterest likes. I’m not sure about the best size for images because although Pinterest say to keep a ratio of 2:3 I keep seeing many tall pins in the search results. I say the best way to find out is to experiment with different sizes see what really works for your blog/site. Two or three different fonts. Your overlay text should have easy to read fonts. Important – Make sure the fonts read well on mobile. Two or three different colors (research suggests that red, pink and purple colors work best on Pinterest but I have had pins that were using blue or green going viral) Experimentation is the way to go. White or light background according to research. Use keywords on your image and keep them centered if possible. When possible make a call to action (overlay text and descriptions). Don’t offer all the information, make people click to your site to get it. I have learnt this the hard way. The words you use on your images are important (use words that trigger urgency or emotion: must, need, most, have, best, why, who, whom, where, what, how, etc). Choose images that match what you write about. It will help Pinterest know where your pin belongs. What about faces? 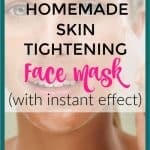 Research shows that images with faces get fewer clicks but I use them a lot on my skin care site. If you are into beauty, make up or similar, faces are often necessary. Try both and see what get more repins/shares. Make new images for older blog posts. In fact, make several pins for the same post. It will count as fresh content on Pinterest eyes. Pinterest says that longer and helpful descriptions boost performance but again I’m not sure about this because I have seen pins with short descriptions or no description at all in the top positions of search results. Go figure! The descriptions and keywords of your images should match the landing page and should offer value to readers. Relevance is key and keyword stuffing is a no-no. Keep an eye on the kind of pins that generate more engagement, saves and especially clicks. It doesn’t matter if a pin have thousands of saves if no one is clicking to read your content. Once you know the type of images/pins that get more clicks, create similar. Smart pinning consistency is essential. Pin with a purpose and pin to the boards that are closely related to your content. On that note, keep those pins rolling! What Can You Use to Create Your Pinterest Images? Popular photo editing sotfwares are Canva (free version or paid version with extra features) and Picmonkey (paid). I use Picmonkey. 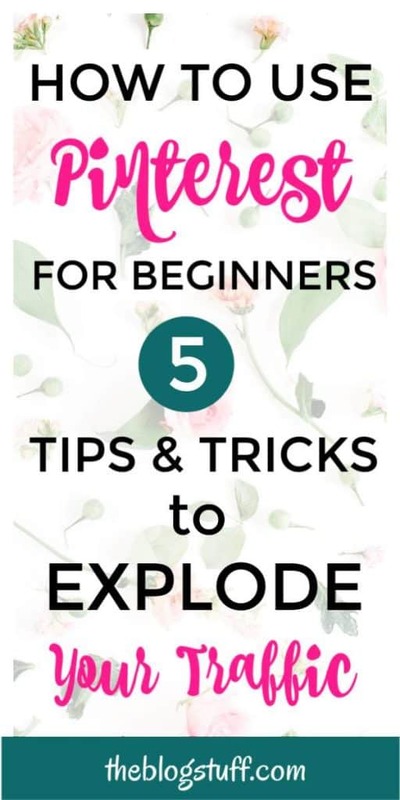 Canva is very popular with bloggers and I have tried it but I feel more at ease using Picmonkey. I was using Picmonkey when it was free and since I was happy with it I have continued to use it after they made it a paid subscription. Recently they have added some cool features that make it even more worthwhile. If you want to try it for yourself get the free trial. Learn how to make money with affiliate marketing and increase your sales and revenue. We sure want to discover the best Pinterest pinning strategy to get more traffic to our blogs/sites. Since I started using Pinterest I have tried many things hoping that something will stick, but I came to realize that hoping is not enough. Pinterest is changing things all the time, and we need to keep testing to really understand what works and what not. One thing to bear in mind is that engagement and impressions go up and down often, so don’t be discouraged if this happens to you. Just keep pinning, try new tactics and it will come back eventually. These days Pinterest is all about fresh content from your blog/site. Try to create new images every day (from 2 to 5 if you have the time). And even if you don’t have the time you should make it a priority. The way I see it is that if Pinterest is sending traffic to my site I want to do more to get even more traffic. And if that means that I have to create 5 or 10 images daily that’s what I will do. Prioritize your tasks and focus on what you know works for your site. Always save your new pins to your own boards first. Pick the one that is most related to the image you wan to pin. You need to give pinterest the right signals. And what exactly are the right signals? I found out about them on Jennifer Ledbetter’s (aka PotPieGirl) book Pin Signals. Is a real eye opener if you want to up your Pinterest game. Make sure that they don’t lead to low quality spam sites, sites with broken links or sites that have stolen images from another site. This really annoys me. After all the time and work we put into our blogs there come these parasites to piggyback off our efforts. I always report them. Can you do the same? I pin from 30 to 50 images every day. It seems that the new algorithm prefers marketers to pin more from their own blogs versus repining other people’s pins. I try to pin more from my blog now but I still re-pin content from others that I think my followers will be interested in. I started with manual pinning only but I couldn’t keep up with it. I couldn’t find an effective way to keep track of all the images and groups I was pinning to. I decided to invest on Tailwind because of all the glorious reviews. It took a while for me to get the hand of it because it was very confusing at first (even with the tutorials they offer). I did a lot of research on the best way to use Tailwind and although it takes a bit of time at first, you soon get the hang of it. 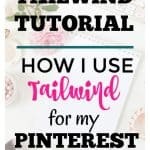 If you want to know how I set up Tailwind read my Tailwind Pinterest Tutorial. Although Pinterest says that they don’t give priority to images pinned manually versus a scheduler I still do manual pinning every day. Some pinners, including myself, have seen their stats go up when they pin manually. I first heard about this theory from Carly Campbell and her book Pinteresting Strategies. She does mostly manual pinning and has amazing traffic to her site. You can check her book here. When pinning manually I search for related pins I think my followers would like and pin them to my boards. I also manually pin my own images to the slower group boards on my account. I don’t use a scheduler for these boards to avoid spamming them. Although the number of followers is not important to succeed on Pinterest, it won’t hurt you neither. It will help expand your reach. People are also more likely to follow accounts that have lots of followers. Is probably an association with interesting and quality stuff? I use them to pin ideas I want to research for future posts and to keep images I want to pin in the future. One cool feature that Tailwind offers is tribes. You can add your content to tribes to be shared by other marketers and reach more people. At the same time you need to be sharing content from others. The use of hashtags is most recommended on new pins to help them get traction. Old pins won’t benefit as much. Personally I don’t like them and don’t use them much. Try to pins few trending pins every day. I believe is good for your account. Should you delete pins with low engagement or no engagement at all? I wouldn’t. Pinterest says that there isn’t any benefit on doing so, but some bloggers disagree. I’m going to listen to Pinterest here because is their platform. It can be very tempting to keep checking your pinterest analytics but it can also be a waste of your time. You will only get annoyed when you see your stats going down. It happens to most of us, so I wouldn’t worry too much. Stats go up and down most of the time, so instead of staring at them use your time to make new pins or write a new article. Fresh pins are in, so pin directly from your blog/site to show Pinterest activity from your site. Changing something about your old pins will also count as a new pin. Pinterest says that re-pinning your own saved images is not helpful but I do occasionally re-pin from the notifications tab my pins saved by others. To do this check your notifications tab to see your pinned images. Re-pin images that have been saved by your followers to boards that relate to your pins. Check that the name of the boards and the keywords they are using closely match your content. UPDATE: I don’t see much benefit on repining my own pins, and Pinterest is making more difficult to do it from the notifications tab. I take it is because pinterest don’t want us to do that. Also keep in mind that Pinterest has a snowball effect but you need to keep pinning consistently to make it happen. Use a scheduler if that is your choice but keep pinning manually too. Below is a video where Alisa Meredith from Tailwind interviews Sarah Hoople Shere, Head of Product Marketing about Pinterest best practices. Using related Pinterest groups will expand your reach, but getting into them is not as easy as you might think. Many group creators will ignore your request to join their group board. I find this to be especially true if the group have LOTS of followers. You need to apply to plenty of them and eventually you will get accepted to some. But more often than not your request will be ignored. I’m not sure why this happens but my guess is that they have already enough contributors or they don’t read their messages (boo!). # I find that the easiest way to get accepted to groups as a contributor is through Facebook. Join related Facebook groups and find groups within your niche looking for contributors. Many of them will be new and won’t have lots of followers yet but on the plus side when the group begins to grow you will benefit from it. # When you find groups you would like to join, ask nicely and be grateful if you get accepted. Follow the group board rules and never spam, is not a good sight. # Pin quality images to group boards and create more engagement by pinning images from that group. UPDATE: Don’t stress too much if you can’t get into plenty of group boards. The new Pinterest algorithm place more emphasis on personal boards. Make sure you have a good bunch of well keyworded personal boards and pin often to them. There is a new Board Finder in town called Pinsprout. It makes a brezee to find new group boards to join. Is updated and well maintained. In my opinion a much better option than Pingroupie. # Avoid groups that aren’t monitored. I see a lot of spam in those groups and is my belief they will drag your account down because of their non-existent engagement. # Groups where everyone can invite are also a no-no for me. I find all kind of spammers on those groups. # It seems that joining niche specific groups is the way to go. Try to pin only to groups that are tightly relevant to your niche. 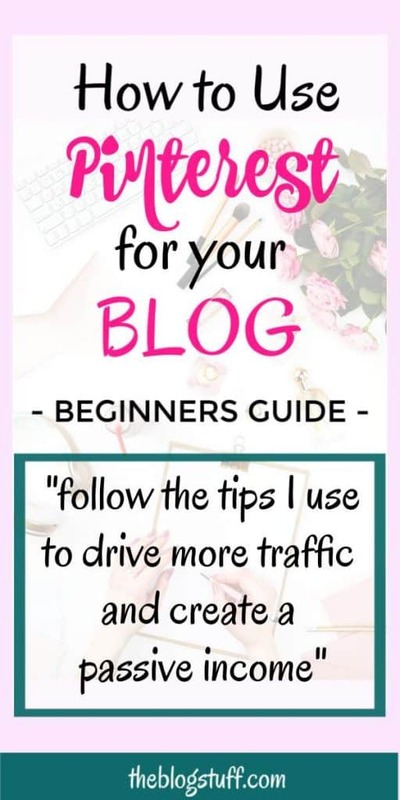 If you are a beginner or are lunching a new blog/site make sure it has at least 10 to 20 posts before you start sending Pinterest traffic to it. Your blog won’t look empty and you will have related posts to keep people on your site for longer. In the meantime keep writing new posts to keep those visitors coming. Make sure that you pick a theme that is seo friendly. After much research I went with the acclaimed DIVI from Elegant themes. It is pricey but it offers a lot of features to make it highly customizable. It is a bit of a learning curve and at first I have to watch plenty of videos to understand how the theme works. But you don’t have to go with a paid theme, especially if you are just starting out and can’t afford to spend money. Search online for free WordPress themes that are SEO friendly and load fast. It is important to know what posts on your blog|site receive the most traffic from social media platforms like Pinterest. It is also important to know your exit pages and bounce rate so you can make the necessary changes. If you are confused about your Pinterest traffic patterns read this Tailwind article to understand why this might be happening. Even if you are a beginner you should have an idea on how you are going to monetize your blog. Whether is affiliate marketing, ads, your own products, services or something else is good to be prepared. Is up to you if you want to monetize from the beginning or you want to wait to build an audience first. Both have their advantages and their inconveniences. # Need ideas on how to monetize your blog? Insert related posts through your content and especially at the end of your posts. Make sure to add social media icons to your site so people can easily share your images and posts. Adding Milotree to your blog/site will make following your profile a breeze. Pinterest is never done and will keep changing their algorithm to test new things. We need to learn to change with it and keep experimenting to discover what work best for us. Sometimes small changes can yield big results. Treat Pinterest like a search engine instead of a social platform. If your account is new don’t stop pinning. Your own pins (even the few you have) and other people’s pins. Keep testing and tracking. Make the changes you need to come up with the best pinning strategy for your blog. Find your own personal strategy. Something that works well for you. For instance I have pins from long ago that don’t follow most of these tips. I made them when I first started and didn’t have a clue about this Pinterest thing. Well, some of these pins went viral (so yeah, sometimes ignorance is bliss). *I will keep this post updated if I find other stuff that works well for me or if/when Pinterest changes things again. Please feel free to share your thoughts and tips on how to use Pinterest for your blog and get more traffic. Thanks! # Adventures in Seo – This complete course will teach how to do keyword research for Pinterest and Google. A must learn if you are lost with your keywords. # PicMonkey – Create graphics for your blog post with Picmonkey photo editor. Beautiful templates and very easy to use. # Pinteresting Strategies – A different e- book with a unique proposition. Manual pinning is what Carly uses to get 100.000+ Pinterest visitors to her blog every month. Check it out! # Tailwind – Who doesn’t know about Tailwind? You are missing out if you don’t use it for your Pinterest strategy. # Pin Signals – Would you like to increase your views on Pinterest? Of course you want! Give Pinterest the right signals and it will reward you with more visitors.